You’ve officially done it! You’ve decided you’re going to download and start using Spirit Lake in your classroom. You’re all excited for your students to start having fun while learning math! Then, comes that ONE kid who knows too much for his age and assumes you’re an expert on all things Dakota. Of course! Why wouldn’t you be? *Insert blank stare* This is why we at 7 Generation Games not only provide you with awesome games but also with fantastic resources so little Jimmy doesn’t make you feel like he’s the smartest one in the room. Or maybe you haven’t gotten our games yet, and you’ve stumbled upon our page because you’re doing a unit on Native American studies and you’re looking for some quality resources on the Dakota. Either way, we’ve got you covered. Check out our list of some of our favorite resources on all things Dakota/Sioux. The Library of Congress is an absolutely incredible resource! Why? Besides the research and information, you can access authentic photos. Oh, and they’re also copyright free which means they are of no cost to you. If the idea of checking out the Library of Congress overwhelms you then worry not, we’ve already done some compiling for you. We have LOC image lots that directly depict 19th and early 20th century Dakota and life. That should give you a solid starting point. Yes, we have our own movies. The best part is that the movies are supplemental to the content covered in Spirit Lake: you can watch them right here on our site or on YouTube, where we’ve organized them in a handy “Spirit Lake” playlist for all our videos on Dakota culture. 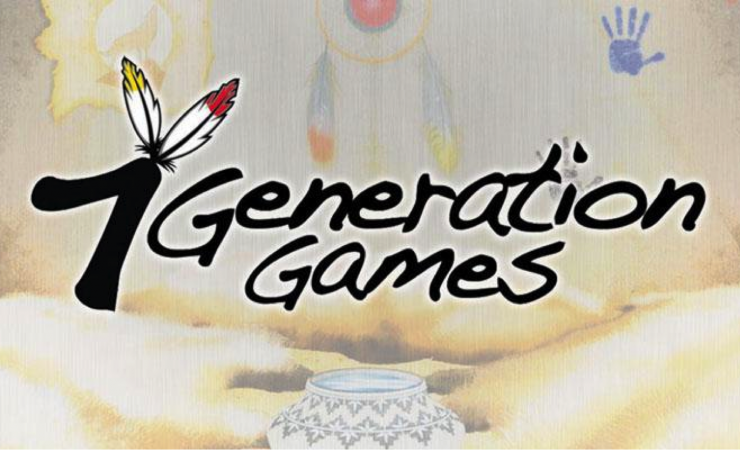 We also have a whole bunch more videos on math and other cultures covered in our games on our 7 Generation Games YouTube channel. The Dakota have lived in Minnesota long before the United States even existed, so it’s no surprise that the Minnesota Historical Society has a ton of useful information. From videos on The US-Dakota War of 1862 to photos of the Seven Council Fires artifact collection consisting of over 1,000 artifacts! They make great reference material for your students. Want to teach your students about Dakota culture? Have them learn about the Dakota and math at the same time playing Spirit Lake. In addition to learning Number and Operations in Base Ten, kids who play our games will learn about everything from the importance of the buffalo to the Dakota to how they obtained eagle feathers to how they survived the harsh winter. If you’re a teacher, email info@7generationgames.com and we’ll send you an educator review copy to check our games out. If you’re a parent or homeschool teacher, you can buy our games here. And you can always play a free demo to check out what you’re getting before you purchase. This website is great because it continues with the theme of playing games in order to learn. Students have different games to choose from memory cards to a matching game. The games are bilingual so the student can learn different words as they go. There’s also a lot of repetition which helps! You should also check out our teacher resources site for Spirit Lake. It contains great useful content for our games on both the math and cultural content – including PowerPoints, clip art and more! There you have it, some fantastic sites and resources that you can turn to whether it’s to broaden your students’ experience beyond math or just to be sure you’re ready when little Jimmy comes with all his 12th-grade questions. Best of all, most are free so they won’t come at an extra expense to your pocket or at a loss to the continued intellectual growth of a student. ← Woo-hoo! Spirit Lake Update and Update Again!